First up is what turned out to be my favorite find of the day. I had a hard time deciding which treat most needed to come home with me. Ah...life is full of tough decisions! Boyden Valley Winery offers wine (very tasty), ice wine (my favorite kind of wine ever ever and their varieties were insanely tasty), and Vermont Ice Apple Creme Liqueur. I was tempted to buy the ice wines but ended up coming home with the creme liqueur. I keep describing it as a hybrid of Baileys and apple cider. Sooo yummy! Next up we have the winner for the best graphics. And an equally yummy product. Muddy Mary's Bloody Mary Mud. It's a tasty bloody mary mix. 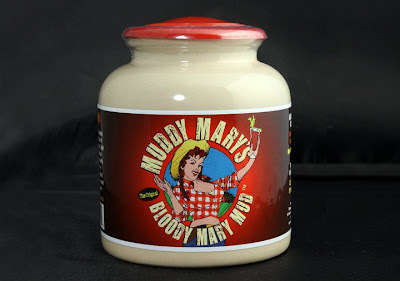 As a spicy bloody mary is one of my favorite drinks, I thought this was a great product. 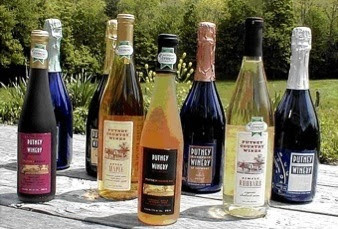 I love loved the wines from Putney Mountain Winery. Like really really loved! The Apple Maple, Simply Rhubarb and Vermont Cassis were my favorites but honestly, they were all so tasty. 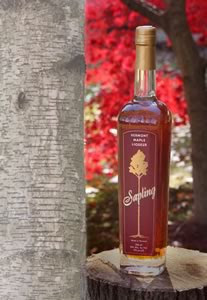 The other product that came home with me, albeit as a Christmas gift and not treat-for-me gift (boo), was a lovely bottle of Vermont Maple Liqueur from Saxtons River Distillery. Oh. My. Word! I am kicking myself that I didn't bring a bottle home for my own enjoyment. It tasted like maple syrup with a big kick. I'm guessing it would taste heavenly over ice cream, in addition to the many drink options. Other great finds from the day were at the Neshobe River Winery, Sugar Daddy Maple Products (the maple balsamic and maple sugar were awesome) and the incredibly yummy Vermont Peanut Butter Company (the Champlain Cherry with cherries and dark chocolate was my favorite). I was also intrigued by the Vermont Spirits company. They make vodka from maple sap and whey. So if you are in the area or not, they all ship. And I love supporting small, local (ish) companies. I personally tasted all of the products I mentioned and honestly though so highly of them. It was so fun to see all the unique yummies made in my area. So yummy! Makes me want to travel to VT! What a fun day! We tried the maple vodka last Christmas. It was too strong for me. I'd like to try some of the things you found.